Disneyland Paris is on most family wish lists, but how can you avoid the crowds and high prices? Paris. Was there ever a place less suited to the relentless good cheer and sense-rattling spectacle of Disney? It's no surprise that when the park first opened in 1992 (remember Eurodisney?) it was met with a fair amount of hostility; French elitists dubbing it a 'cultural Chernobyl'. But economics trumped snobbery and Disneyland Paris now welcomes some 12 million visitors a year. An open mind is essential if you are to navigate, and enjoy, the busiest attraction in Europe. And, while I'm no dyed-in-the-wool Disney fan, even I fell under the spell of the 'happiest place on earth'. Visiting in the off-season (winter) tends to be cheaper but not necessarily less busy, as we discovered when we hit the parks on an October weekend. Daily live shows, parades and firework displays year-round mean you won't miss out on any Disney magic whatever the season, but Halloween and Christmas, when the parks are lit up with lights and decorations, are particularly impressive. Going mid-week will save you hours of queuing and, if you can, avoid French school holidays (publicholidays.fr/school-holidays). Insider Tip: If you've got very little ones, you can avail of the 'jours des enfants' every Wednesday, which allows easier access to the less hectic, toddler-friendly rides. A trip to Disneyland is a bit like planning a wedding - lots of moving parts for varying budgets require military precision planning. The farther in advance you book the better the discounts and packages - with perks such as kids' meals and FastPasses included. 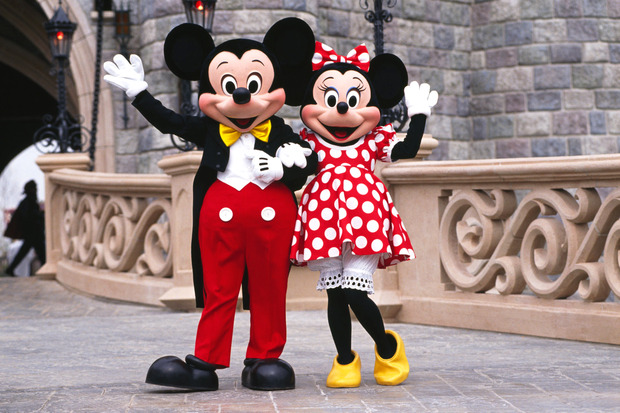 Sites such as attractionticketsdirect.ie and Irish operators Abbey Travel, breakaway.ie and Budget Travel offer packages and deals, as does the official website disneylandparis.ie. Don't forget to bone up on your Disney movies before you go - it makes for a more familiar and exciting experience. Insider Tip: There are two huge parks, so rather than trying to squeeze both into one day, take the pressure off and dedicate a day to each one. The two parks are side by side: Walt Disney Studios, with specific movie-related rides and stage sets, and Disneyland Park, which consists mainly of rides. Just outside the parks is Disney Village, with shops, bars, restaurants and a cinema. In order to get the most value from both parks and avoid a mind-bending assault on your senses, familiarise yourself with the layout and have a game plan before you go. Choose some key must-see rides and ensure you get to those first. Arrive early and avoid bottlenecks by strategically timing your route based on availability at rides. Insider Tip: Download the Disneyland App, which maps the two parks and gives you wait times for each ride and may well save you lengthy, exhausting and tearful kerbside waits. "It's my sixth time here," smiled the man queuing in front of us for Buzz Lightyear Laser Blast. "What rides would you recommend?" I asked. "Oh, you have to try everything," he said. Having just arrived and queued to collect our tickets, queued to check into our hotel and queued to enter the park, I'm not sure getting to 'everything' is physically possible. But we did manage to get our hitlist done... thanks to a few clever hacks. Using the FastPass system lets you shortcut the queues by reserving a time slot in advance - but be aware that FastPasses can only be used on certain rides (see our Top 10, below) and cannot be used between certain hours (1pm-4pm at the time of our trip). If you're staying in a Disney resort hotel, you can get a handy head start on queues by availing of the 'magic hours' - a terrific perk that allows hotel guests access to the parks at 8.30am before they officially open at 10am. Insider Tip: The last two hours, when crowds go home, is the best time for hitting favourite rides. We rode the usually impossibly crowded headliner rides - Ratatouille and Star Tours - repeatedly, without queuing, from 7pm-8pm before the kids literally collapsed from sensory overload. There are opportunities to meet characters floating around the park, but if our trip was anything to go by, you might spend half your day wrestling fellow Disney enthusiasts for the pleasure. You can book a meet-and-greet with your child's favourite princess at Fantasyland's Princess Pavilion, or make a reservation at a restaurant with character dining - the latter being the more costly option. Queuing for a meet-and-greet can eat up half your day, so ensure to download the Lineberty App which allows you to select your meet-and-greet, go off an enjoy the rides and return at your allocated time slot. Failing that, there is always the parade, which takes place at 1.30pm and 5.30pm daily - featuring every conceivable Disney character in full flight. Insider Tip: Crowds tend to peter out during the parades, so make good use of one of the parade times to hit shorter queues for your favourite rides. Sleeping Beauty’s Castle at Disneyland Paris, illuminated in green as part of Tourism Ireland’s Global Greening. "Get there early for your spot," confirmed a woman to me as we chatted about that evening's nightly spectacle. 'Getting there early' was the mantra of our trip, and with just cause - crowds began descending at 8.30pm on the grass in front of Sleeping Beauty's castle despite a 10pm kick-off time. The castle is the backdrop for an incredible nightly light, music and fireworks display that made our three, tired, whinging children completely speechless for 20 minutes and even had my husband belting out Let it Go to a laser-lit display. Staking out your spot for the daily parades is worth the effort, too. The roundabout in front of the Railroad Main Street Station as you enter the park is the best spot. Insider Tip: Bring costumes from home if you have them. With more than 30 million meals served each year, Disneyland Paris can boast of being "the largest restaurant in France"... but it's far from the best. The coffee is bad, even by French standards, and the food not much better, with most of the options being forgettable fast food. It's also overpriced, as we discovered when we booked a table at Chez Remy, the larger-than-life Ratatouille restaurant, which is designed to shrink you down to the size of the famous four-legged chef. The décor was charming but even the kids grumbled about their food. A discount was offered promptly, proving that, sadly, they are too used to complaints. Having stocked up on snacks from the hotel breakfast buffet on our second day, we waited until the parade started at 5.30pm and enjoyed a decent and crowd-free dinner at Five Guys in the Disney Village. Insider Tip: Pack a picnic. There are plenty of eating areas and fountains outside the toilets for refilling water bottles. If you're staying in a resort hotel, load up your bags with the breakfast buffet to keep you going. If you're eager to dine in one of the parks' restaurants book ahead through the restaurant reservation line (disneylandparis.com/en-gb/faq/dining/reservations). Nothing escapes the Disney touch, shops included. Main Street is a full-scale recreation of small-town America in the 1920s, with ye olde souvenir shops and hoards of people falling over themselves to buy Mickey Mouse ears (which will set you back a costly €20). Most of the shops, while packaged differently, sell the same Disneybilia merchandise - shopping during the day makes for a much less stressful experience and you can avail of the free Disney Shopping Service (ask at the till, and staff will deliver your goodies to your hotel or to the Disney Store in the Disney Village for you to collect when leaving). When it comes to packing, bring the obvious comfortable shoes and backpack full of snacks, wipes, tissues and water. Don't bother lugging a pram as you can hire one for €20 for the day. If you're taking lots of photos on your phone, consider bringing a mobile battery charger. Insider Tip: Forgot the charger? You can find helpful plug sockets at Casey's Hot Dog restaurant on Main Street and the Queen of Hearts' castle in the labyrinth. Disney's eight cheaper partner hotels near the RER train line can be good value, but the resort hotels are great for proximity - although you'll pay for the privilege and the perks. We stayed at the Disney Hotel (above), an ersatz slice of Victoriana (from €600 a night for a family suite) right at the front gates, giving us early access to the parks, a chance to meet characters at breakfast, and we could pop back at any stage during the day - the pool was a welcome break for the kids. If you're combining a city break in Paris with the park like we did, the MOB hotel near the Saint Ouen flea market was a good budget family-friendly option (from €80 per night; mobhotel.com). Stylish, comfy with bar, games area for kids, an organic farm-to-table restaurant and garden, and only 10 minutes by taxi from Auber or Chatelet-Les Halles Metro stations connecting Marne-la-Vallée (Disney) with Paris in 40 minutes via the RER train. Insider Tip: It's worth as king what 'extras' you get when booking with a Disneyland Hotel as some of the rooms and packages come with VIP FastPasses. "Have we shrunk yet?" asked my son as we strapped ourselves into our 'mouse' cars in preparation for the much-anticipated Ratatouille ride. A few minutes later, we were all screaming as we slid down a cheese grater, despite it being our fifth time. The rat-sized adventure is one the entire family will love, but depending on the ages and disposition of your kids, there's plenty of options for all. Despite my aversion to anything that involves meeting my breakfast again, I even agreed to the Twilight Zone Tower of Terror with my thrill-seeking seven-year-old, Ruby. She screamed with delight, I with complete terror (hence the name), as we plummeted 200ft in a matter of seconds. Big Thunder Mountain (above), Hyperspace Mountain and Rock'n'Roller Coaster will similarly whiten the knuckles and rule out younger ones that don't meet the height restrictions; they might prefer milder rides such as Pirates of the Caribbean, Sleeping Beauty, Peter Pan's Flight and It's A Small World. Ratatouille: This one's a really fun 4D adventure through Gusteau's restaurant as a rat (any height; FP). Star Tours: A rocket 3D cruise through the Star Wars galaxy on a starfighter. Sixty different mission combinations means you're guaranteed a different experience each time (1.02m or taller; FP). Buzz Lightyear Laser Blast: One for the family, as you all attempt to defeat Emperor Zurg with laser guns in a spinning space cruiser (any height; FP). Pirates of the Caribbean: A fun underground boat trip through caves and villages with drunken pirates (any height). Crush's Coaster: Queues can be lengthy, but if you love Finding Nemo and a good thrill in the dark, you'll love this ride (1.07m or taller). It's A Small World: A gentle cruise celebrating different nations that the whole family will love (any height). Peter Pan's Flight: A magical, if not too short, ride on a pirate ship from the Darling's home in London, through the night skies to Neverland (any height; FP). Autopia: Our kids loved being at the wheel of their own race car on this miniature racetrack (81cm or taller). Slinky Dog Zigzag Spin: A classic involving a loopy spin on the back of Toy Story's Slinky the Dog (97cm or taller). You get more bang for your buck with a package deal, as standalone entry tickets cost €89 for an adult and €84 for children under 12. A two-day hopper ticket, which allows entry to both parks costs €159/€145. Prices for a two night/ three-day package start from €851 based on two adults and two children sharing a standard room at Disney's Santa Fe Hotel (01 605-8383; disneylandparis.ie). This includes a three-day park hopper ticket, but not flights or airport transfers. 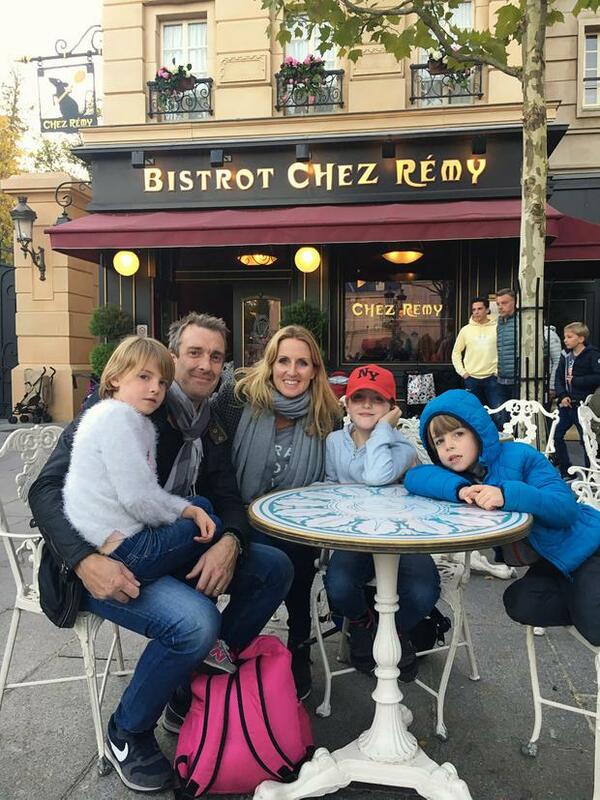 Orla and family travelled as guests of the resort and Aer Lingus (aerlingus.com), which flies from Dublin to Paris.